"Celebrate Southeast with a Taste of Southeast"
fundraising event ​on May 4, 2019! This year's event features an incredible buffet of delicious food provided by area restaurants, a silent auction with a variety of gift cards and items donated by area businesses & individuals, beautiful music, and a special program celebrating Southeast resident, Ardes Johnson. Please contact us for scholarship information. Please click the link below to purchase tickets here! Our event in 2018 raised over $12,000. 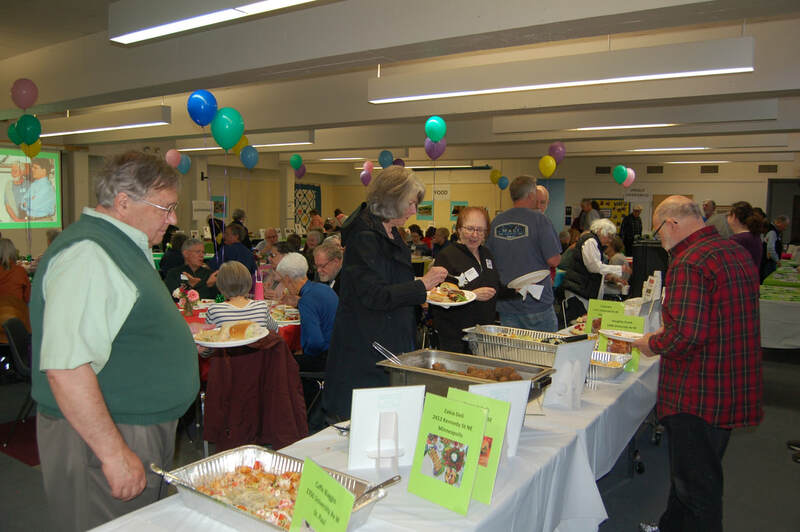 Thanks to the many volunteers, delightful musicians, Dean Johnson and Michael Hauser, and the many restaurants who donated food for a delicious lunch buffet. 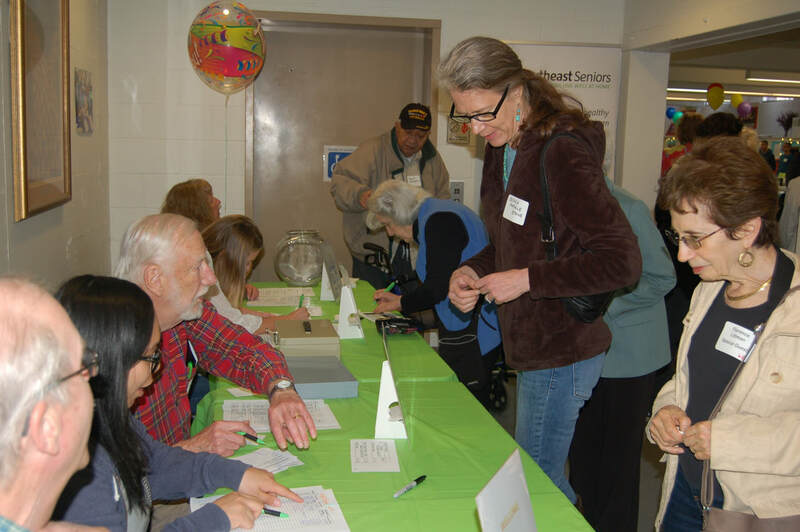 Volunteers helped greet guests, in the kitchen, with the program, and silent auction. Great support came from Sunrise Bank, Tata Consulting Services, neighbors, SES Board, and UMN students. 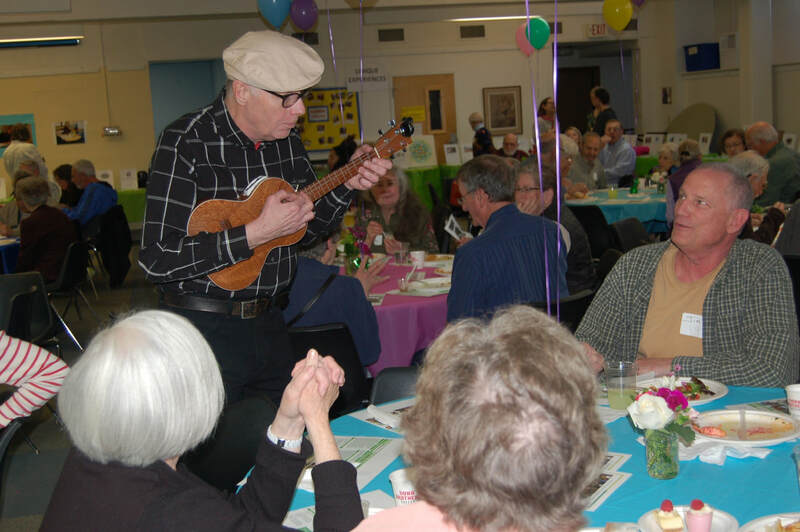 Delightful music during the event was provided by Dean Johnson, ukelele, and Michael Hauser, guitar. Blue Door Pub University, Burrito Loco, Caffe Biaggio, Chin Dian Cafe, Dunn Brothers Coffee, Gardens of Salonica, Jimmy John's, Kafe 421, Kramarczuk's, Loring Bar & Restaurant, Naughty Greek (University), New French Bakery, Profile Event Center, Second Harvest Heartland, U Garden, Zakia Deli. Our Silent Auction was a great success with items donated by the following organizations and individuals. Organizations & businesses: Alma-Cafe, Hotel & Restaurant, Alexis Bailly Vineyard, Al's Breakfast, Annie's Parlor, Bibelot, Birchwood Cafe, Burrito Loco, Craig's Como Barber Shop, Dinkytown Wine & Spirits, Dunn Bros, Eastside Food Coop, Ebenezer, Egg & I Restaurant, Fresh Thyme, Guthrie Theatre, Hampton Inn, Handi Medical Supply, Huge Improv Theater, Key North Boutique, Knokes Chocolates, Longfellow Grill, Lunds & Byerlys, Midwest Mountaineering, MN Twins, Monte Carlo restaurant, New French Bakery, Oaks Hardware, Pacifier, Park Square Theatre, Penumbra Theater, Pizza Luce, Prospect Park Properties, Punch Pizza, The Raptor Center, Red Stag Supperclub, Renaissance Mpls, Hotel, Depot, Runyon's, Science Museum of MN, Seward Community Co-op, Shuang Chang, Southwest Airlines, St. Anthony Main, Surley Brewing Company, The Textile Center, Theater Latte Da, Theatre Unbound, TPT, Trader Joes, T-Rex Cookie & Coffee Cafe, Union Bank & Trust, Weisman Art Museum, Yum!Bakery & Cafe, Zipps Liquors.